Instagram has become one of the most popular social media platforms around. While it is owned by Facebook and it is possible to post images onto both social platforms at the same time, the two are very different. Instagram works completely with of images. It also now accepts some video content, in addition to the live streaming and Instagram TV features. 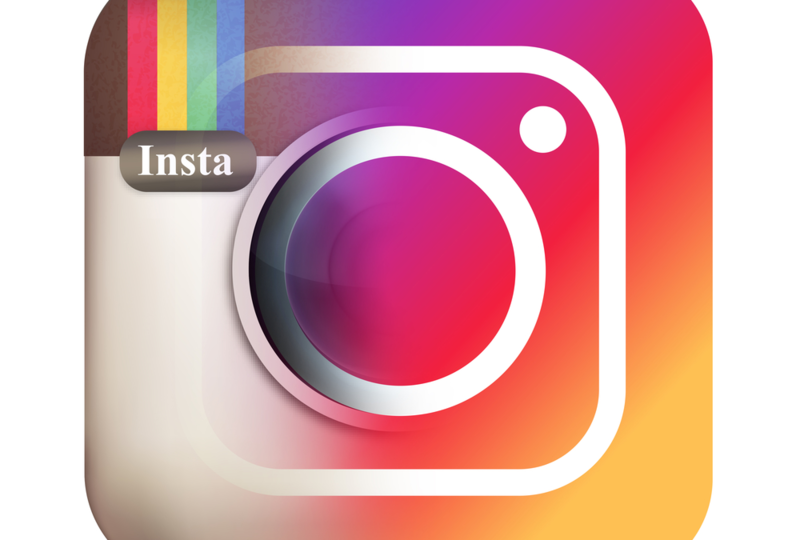 However, the image aspect of Instagram will remain the most important feature on the service. There may be times where you see an image posted by someone else that inspires you to share it. Should this ever be the case, you need to know how to repost on Instagram. What Is The Purpose Of Reposting On Instagram? The entire purpose of reposting on Instagram is to share something you like that you saw someone else post. This might be an inspirational quote or a meaningful image the other individual shared. You may also have a business account and a personal account, so you'll want to share some business posts on your personal Instagram account. You don't need any real reason to repost content on Instagram other than to like it. Of course, you'll need to know how to repost on Instagram. You should tag the original poster of the content. The easiest way to do this is to follow the person (or the account) you're reposting from. This way, when you type in the username information into the image description, it will automatically link their account to the image. Linking the image and reposting, it can help boost traffic to the other account. It increases exposure for the account, which helps boost potential followers for the account. If you are attempting to become a social influencer and boost your social numbers, this is important. While hashtags can be helpful in connecting with new users, one of the best ways to draw in additional attention is for someone to repost an image and tag your account (or for you to tag the other user's account). Even if you're not attempting to boost viewership numbers, it is still important for you to give credit where credit is due and tag the original creator's account. There isn't necessarily a need to repost on Instagram. If you don't want to repost, you don't need to. In fact, Instagram doesn't have a native "share" feature built into the social media account, so even the platform doesn't see it as important as it is in Facebook and other social platforms. For some users, reposting will help boost traffic and increase its social following. Others may have no need to repost from Instagram. It all comes down to the user and what individual users are interested in. If you're interested in how to repost on Instagram, chances are you want to know how to do this for a reason. At the very least, you want to share an image with others so they can take as much joy or excitement from the image as you took when you saw it. So in terms of whether there's a need to repost on Instagram, it all comes down to individual users and what these users are interested in. Because Instagram doesn't have the native share feature built into the social media platform, you'll need to find a work around. There are a handful of ways you can do this. This is universal across all mobile operating systems. It isn't the greatest method, and it does require some cropping, but it's an easy way to answer your "how to repost on Instagram" question. First, take a screenshot of your phone. This is usually a combination of buttons on your phone (this varies based on the version of iOS or Android you're using, and even the Android manufacturer you're using). So, check with your particular phone for how to take the screenshot. Once you have the screenshot, you can navigate back over to Instagram and choose the "Post" feature. Select an image you have already captured. Now, choose the screenshot you took. You will need to use the crop feature to adjust the image until only the original is on display (when you take the screenshot, it will also take the rest of the information displayed on the screen). So, crop the image and continue on to the tagging portion of the post. Type in the username of the original creator. Let people know the image is a repost from the original creator. Once you have done that, add in whatever description or hashtags you're interested in. Then, choose the "Post" option to let it go live. The best way to answer your "how to repost on Instagram" question is to use the Buffer app. This is the best workaround applications for reposting content on Instagram. To do this, you'll need to download the Buffer application from the Google Play or App Store. It is a free app, so you don't need to pay for it. Once you have selected the application and downloaded it, you will need to pair your Instagram account with the Buffer account. This way, you can post shared content directly from Buffer. To do this, you'll need to give the application permission to access your account. You'll also need to re-enter in your user password to complete the process. Return to Instagram and the image you want to repost. Now, click on the three dots that appear next to the image and choose "Copy Share URL." This will copy an image specific URL for the picture. Now, open up the Buffer application and choose the "Tap here to repost" option. You will now be able to copy in the URL that you saved from within Instagram. A new screen will load. Select the accounts you want to post the image to (it will automatically post to your Instagram account, but you can have it share to other accounts like Twitter, Flickr, Tumblr, and Facebook). From here, type in the description you're interested in. This description will be on top of the original description. One of the best features of Buffer is it will maintain the original caption, so you don't need to try and adjust (or remember) it. It will also automatically give credit to the original creator of the image. If you want to add any other information here, you can do that. When you choose to post the image, the image will be uploaded to Instagram, and the process will finish. Now, when you open up your Instagram application, the image will be live on your account, along with the new description, the old description, and a link to the original creator. In terms of easily uploading and reposting content from other accounts, this is by far the easiest and best way to go about doing it. So, if you want to know how to repost on Instagram, it's best to go with the Buffer app. Should You Ask for Permission First? Whether you should ask permission or not depends on the content of the image. If it is an original work of art or photograph from someone you should request permission before reposting. They created the image, and they hold the copyright, so if you attempt to share it or pass it off as your own, you can find yourself on the receiving end of a lawsuit (which is not likely, but in some professional cases, you'll at the very least be told to take the image down). The easiest way is to direct message the individual through the application. If the user has an email account listed in their profile, you can send a short message here. If it is a quote said by someone else, you don't need to ask for permission, as they did not create the quote. However, if you're ever in doubt, it's always best to request permission ahead of time. If you're looking for information on how to repost to Instagram, it is because you've likely discovered that Instagram does not have a native share feature built into the social media application. The main purpose of Instagram when it came out was for individuals to post their own pictures and share their pictures with others. It was all about each individual creator maintaining their identity so that followers would know the image came specifically from that user. If Instagram released a share feature, it would reduce this authenticity. With that said, many users do want to share visuals, much in the same way they would with Facebook or Twitter. As Instagram does not have the built-in feature, you need to take the information provided to you here in order to properly repost an image on Instagram. The instructions for how to repost to Instagram are relatively straightforward, and once you've performed the actions a few times, you won't have any problems remembering how to repost on Instagram.